A unique self-leadership programme based on the science of human flourishing. Our self-leadership programme, InsideOut, is unique to Perth College and is the first of its kind in West Australian schools. 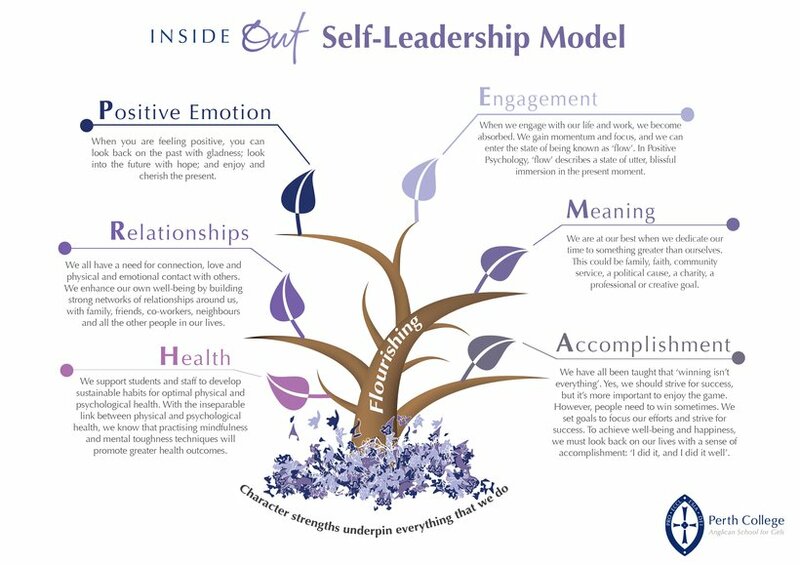 InsideOut uses a positive psychology model to empower girls to becomeself-aware, be the best person they can be, to flourish, and to contribute to the wellbeing of others. Workshops, activities and guest speakers are tailored to each year level to help the girls find their strengths, develop resilience, build confidence, exhibit leadership, and display social and emotional intelligence.